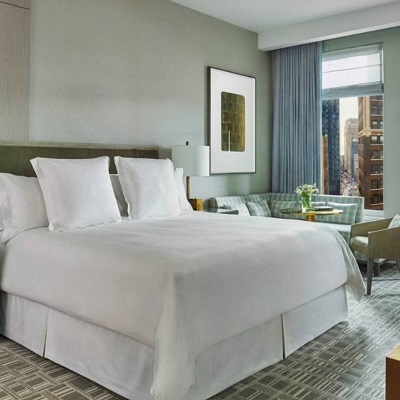 Four Seasons Hotel New York Downtown is a luxury 5-star superior property offering stylish accommodation in the heart of New York. 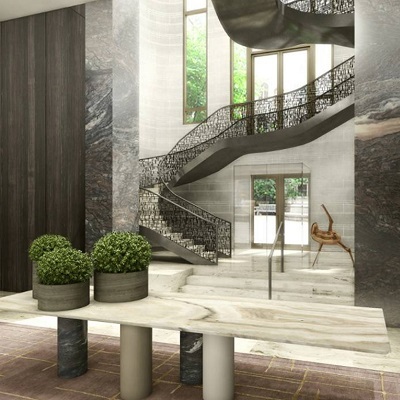 Highlights include an indoor swimming pool, a fitness centre and a fantastic location close to the 9/11 Memorial. Wall Street is the heart of New York's bustling financial district, home to a high concentration of impressive skyscrapers. 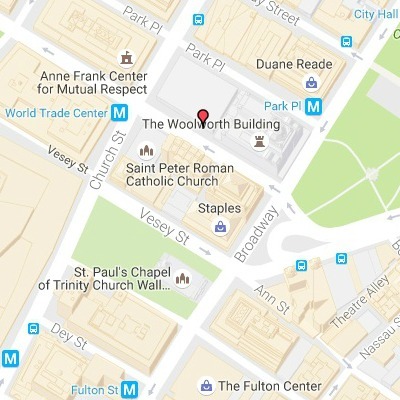 Nearby places of interest include the New York Stock Exchange, Castle Clinton and the 9/11 Memorial & Museum at the site of the former World Trade Center. Several subway stations are located in the vicinity, providing fast and easy access to other popular New York destinations. The hotel is housed in a 21st-century state-of-the art high-rise building. Facilities include an indoor swimming pool, a spa and fitness centre. Free Wi-Fi is available throughout the premises. Superior rooms are decorated in an elegant style with classic wood furniture. Amenities include air-conditioning, a 55-inch flat-screen satellite TV, mini-bar, safe, work desk and iPod dock. The en-suite bathrooms feature a bathtub with integrated shower and a flat-screen satellite TV. CUT by Wolfgang Puck serves international dishes in an exclusive setting. Guests can also enjoy a range of drinks and snacks at the bars, and there are plenty of dining opportunities in the vicinity. The hotel provides 24-hour reception, concierge and room service. Chargeable parking is possible onsite.